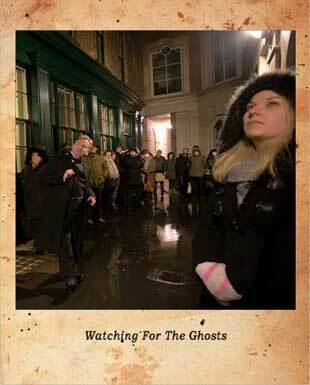 ﻿ The London Ghost Walk - Haunted Tours of London. 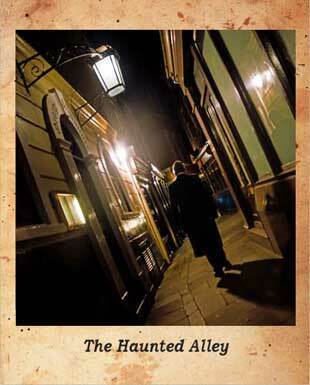 Twilight creeps its weary way through the alleyways and courtyards of old London. It dapples the history steeped streets in a cloak of sinister shadow. 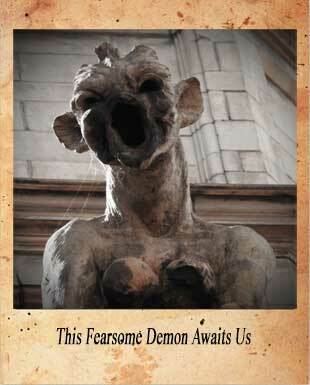 Its gnarled fingers scratch at the windows and rattle the doors of the old houses and churches that nestle at the historic heart of the City. Faint shadows flit across time-smeared window panes; phantom footsteps echo across the time-worn cobbles; a distinct chill hangs heavy on the nighttime air - and the city of the dead begins to stir, as long departed residents commence their nightly returns to the places that they knew so well in life. 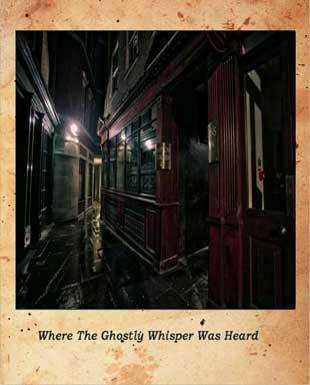 Thus the world famous London Ghost Walk sets off in to the night and takes you on a spine-chilling walk through the alleyways and passageways of the City of London to seek out the many places where ghosts are known to lurk. And, because your guide is the internationally renowned ghost book author, Richard Jones - London's "Doyen of the Darkness" - you are guaranteed a marrow-chilling, thought-provoking tour that combines creepy and atmospheric locations with masterful storytelling and fascinating historical facts that will keep you on edge and entertained throughout the entire evening. There is a very good reason why we chose Bank Underground as are starting point for this creepy ghost tour - it's haunted. And, let's be honest, what better starting point for a ghost walk could there be than a location that has a resident ghost to get your evening off to a truly marrow-chilling start? As to who, or what, causes the dreadful stench - which has been described as being "like the smell of an open grave" - to come drifting up from the depths? Well, only the ghosts know, and they're not talking! However, numerous theories have, over the years, been put forward to explain this particular haunting, and Richard will begin by discussing the various explanations as you stand over the very location where the a phenomena is known to occur. But, ghostly smells are not the only phantoms that are known to drift through the depths of Bank Station; and Richard will bring you up to speed on the most recent hauntings. 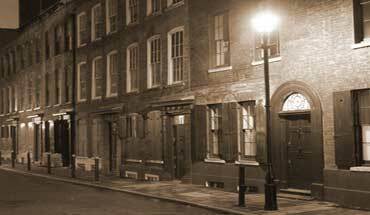 Having lulled you into just the right mood for the spooky evening ahead, the haunted tour heads off into a warren of timeless alleyways that are so heavy with atmosphere that you really will believe you have stepped back into London's past. This walk is packed full of locations where residents of that other City appear to cross over and make their presence known to participants on the ghost tour. There's the invisible entity that lurks in one of the dark and sinister passageways through which we venture, and which has been known to order the unwary to "get out of here, NOW," in a rasping and malevolent whisper. There's the 18th century servant girl in the "white mop cap" whose appearance has caused much discussion on the tour amongst participants who have caught her despondent shade on camera, looking down at us from a grimy window pane. There's the old "spinster" who has left many a bemused witness pondering if they actually did see her when she has suddenly vanished into thin air right in front of them! There's even an historic corner where a certain something (to be honest we're not even sure what it is) appears to have an aversion to modern technology and has caused the energy to drain from the batteries of cameras and mobile phones. On one occasion a woman on the tour was astonished to find that her car key had been bent in her pocket as she stood listening to the ghost story that Richard was telling at this spot. THERE MUST BE A RATIONAL EXPLANATION? 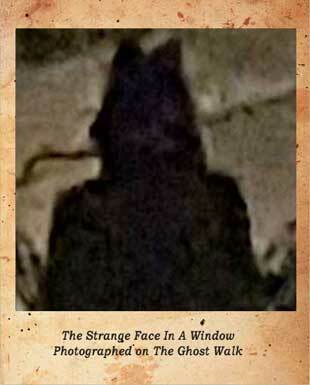 Of course, there may well be rational explanations for these seemingly inexplicable happenings. Indeed, as Richard knows only too well from his time on the cult TV show Most Haunted Live, science and rationality can explain away a good 98% of paranormal activity. But what of the other 2%? 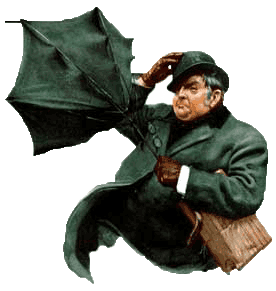 What of those happenings that defy rational explanation and which, try as you might, you simply cannot dismiss with cold, calculating logic? That's what we concern ourselves with on the Old City Ghost Walk. And therein lies the beauty of the tour. Believers and skeptics alike can come together to discuss these happenings, if they so desire, and then form their own opinions as to their veracity. In short, this is not one of those ghost walks where you just listen to your guide drone on and on. Instead, you are positively encouraged to get involved and to actually look for evidence of the paranormal as you snake your way through the City's affirmed haunted hotspots. Having met your guide - who will be suitably attired in his 19th century undertaker's garb - outside London's most haunted underground station, you will set off into a sinister alley where, legend holds, the unwary may feel the touch of the Devil's breath on the back of their necks. 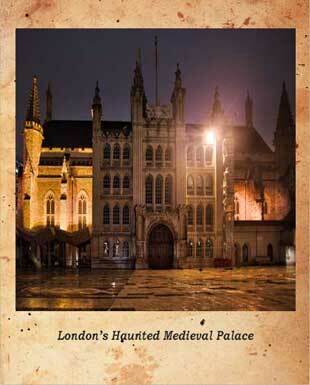 A chilling prospect with which to begin your evening's exploration of the hidden places of haunted London. A few short strides and you have arrived at the site of Scrooge's counting house in Charles Dickens's A Christmas Carol . You will gaze up at the esteemed city hostelry where, in the 18th century, Sir Francis Dashwood founded his notoriously nefarious Hell Fire Club. 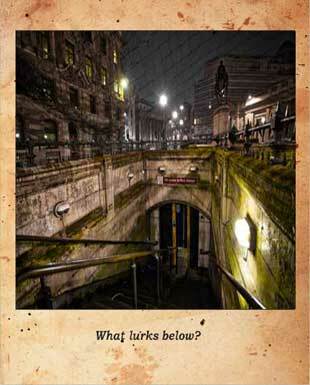 This is one of several locations at which people on the tour have been known to capture a certain something on their cameras and Richard will ensure that you know exactly where to aim your lens in order to maximise your chances of obtaining a supernatural souvenir of your night out in the haunted City. It's also the location where several managers have, over the years, become used to sharing their office with a white lady who, since she appears to be more afraid of them than they are of her, they are happy to leave to her own devices and allow her to go about her ghostly business, whatever it may be. 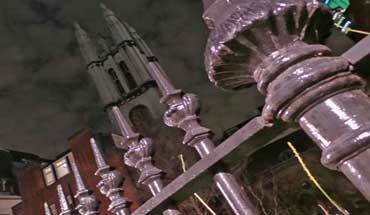 Then it's into a silent churchyard where a deliciously sinister and ghostly story will unfold before you. Richard has been regaling his groups with this spooky tale now for over thirty years and he has developed a narrative that is both chilling and evocative. 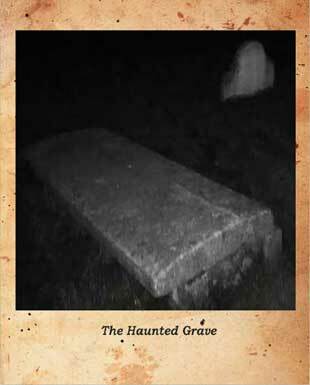 It concerns a 19th century resident of the parish whose teeth were the toast of London and whose tragic demise set in motion a chain of events that saw the bodysnatchers arrive at the church in the dead of night to acquire said teeth, causing his ghost to...well, all will be revealed at the very site at which this long ago happening occurred. One thing though is certain, you'll be clenching your own teeth as the suspense-laden narrative is played out before you. The story-teller's art doesn't get much better than this tale, as the members of our dedicated band of fearless ghost hunters begin huddling closer, closer and closer still as the shadows seem to suddenly grow deeper and the London night begins closing around us. The chill-factor is increased by the knowledge that some who have ventured into this tiny churchyard have been unnerved by having their name whispered behind them by some unseen entity! Delving deeper into the warren of narrow alleyways that snake behind and between the old City buildings, we make our way to a truly creepy alleyway where things have been known to happen on the ghost walk. This is the location at which a paranormal investigator was told by an unseen something that his presence here was unwelcome. It's also the place where you will feel a most definite change in atmosphere as you pass through it, a change that those of a psychic persuasion have attributed to a certain presence to whom this old alleyway his home. Richard will tell you of the strange happening that occurred on this tour in September 2005, when a woman participant appeared to tune in to a long ago act of infamy that occurred on and near this spot. In fact in February 2015, and again in September 2017, several other people, on different tours, also experienced the same sensation in the same alleyway, so this most certainly cannot be dismissed as a one-off haunting. The Black Nun is the next wandering shade to drift across our path as you hear of the tragic event that brings her back to these ancient streets time and time again, endlessly searching for her long lost brother. Old alleyways and older courtyards take you ever deeper into the city of shadows where lost souls wander the night hours in search of eternal rest but finding only torment and sorrow. You will then view the esteemed City building where many people on the walk have encountered possible paranormal activity. It is a city landmark, and one that is not widely known for its ghostly activity, but it most certainly does have a haunting tale, or two, to tell. For example, in March 2017, a security guard on night patrol inside the building was going about his rounds when........ well let's not spoil the surprise! It's also a spectacular building that dates back to the early 1400's and its sudden appearance, as we emerge from the network of narrow alleyways that we have been exploring, regularly draws gasps of astonishment from members of the group when they encounter it. Richard will then regale you with the strange case of the cursed cobblestone. The bizarre events that make up this story actually happened to people who took the ghost tour and it is proof positive that the City does not give up even its tiniest possessions without a battle. 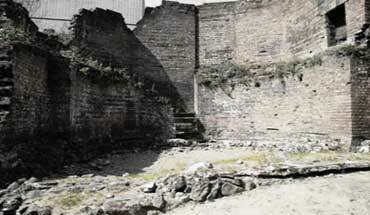 In fact, you can watch the whole story on the following video and then visit the location when you join the tour. The next destination that you will visit is the historic building that has seen a huge amount of ghostly activity in recent years. Three paranormal investigations have been carried out at this place and each one has yielded alarming and dramatic results. A spectral soldier has been seen in its basement; a cold breeze has been known to chill the marrow of many a visitor to its main function room; a ghostly girl has been known to greet visitors entering the building; and several of the people who have taken the tour have sworn that they have seen a ghostly lady waving to them from one of the upper windows. Add to this the fact that several tour participants who have photographed the building have found orbs on their finished pictures; and you have a wonderful destination to stand outside with camera poised. The tour ends in a creepy churchyard, at the centre of which lies a solitary tomb around which a bizarre tradition has evolved. Children then had little choice but to fashion their own imaginary worlds out of whatever came most readily to hand and mind, and ghost stories were a perfect way to do it. 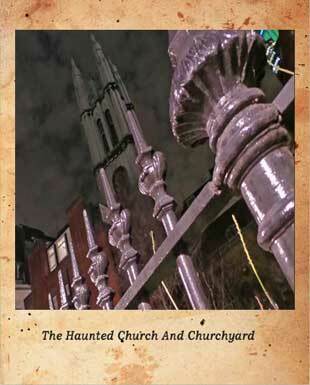 In those days, this little churchyard was hemmed in by warehouse buildings that cast it into perpetual twilight. As such its allure proved an irresistible draw to the local children who would come here on dark winter nights and scare each other witless with marrow chilling tales that, thanks to the surroundings in which they were told, could be guaranteed to instill feelings of fear and trepidation into the hearts of even the staunchest of unbelievers. Then, as now, this solitary grave was a prominent feature of this churchyard, and thus a plethora of ghostly tales were woven around it, several of which soon entered the hallowed realm of local tradition. One of those traditions concerned a certain ritual which, if performed at the graveside, accompanied by a specific incantation, was, so the local children assured one another in hushed tones, guaranteed to summon forth the spirit of the tomb's occupant, whereupon he or she - tradition is divided as to the ghosts gender - follow you home and haunt the remainder of your days. "Poppycock and twaddle", you might say from the comparative safety of your 21st century world of bright lights and technological advancement. But, will you be so dismissive when you are actually gazing down at the said grave as the Old City Ghost Walk draws to its close? Will you join the fearless few who, having heard Richard explain the "ritual for the raising," have been brave enough to linger behind and carry out the time-honoured tradition before beginning your homeward journey, possibly accompanied by a new friend from the great beyond? 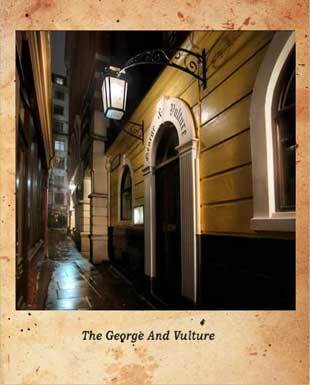 So, if you are looking for an entertaining night out in London, one that is tinged with thought provoking facts and entertaining anecdotes, join Richard Jones's original Ghost Walk and visit genuinely haunted locations where ghosts are still known to appear. White ladies, sinister monks and unseen entities abound on a truly chilling yet fascinating tour that uncovers a spectral city where the ghosts of previous times are known to call softly from across the centuries. The question is, will you hear them?